The tech giant finally breaks silence over net neutrality rollback. Shows support for Obama-era rules. 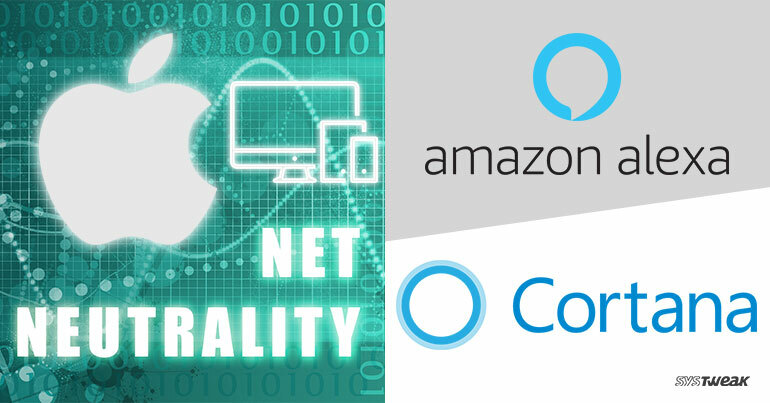 As confusing as it might sound to the average internet user but Net Neutrality is certainly viewed as a good thing by most tech giants such as Google, Facebook, Amazon and Microsoft etc. Apple Inc. however, stayed pretty much silent on this issue, despite growing concerns from Trump administration that wants to roll back old rules passed during Obama’s presidency. But finally they’ve broken the silence and have commented to make Net Neutrality rules even more robust. This sure sounds like a good speech, but still fails to address the real reason why Apple wants to back this law. Especially after similar issues were also raised by other companies such as Microsoft and Facebook, Apple’s comment doesn’t really make much difference. Experts however, have pointed out that the real reason could be to reduce any friction between service providers, especially when Apple is investing heavily in their own video content and music streaming. WILL IT EVEN MATTER TO FCC? Whether Apple’s new take on FCC’s supposed rollback of net neutrality laws will have any difference? We’re not really sure to be honest, as other big names have already voiced their dismay at FCC Chairman Ajit Pai’s to reverse the previously imposed bans. FCC still remains hell bent on bringing about some new changes in current laws. Therefore it is better to leave the decisionmaking to time and hope for the best, as consumers. The newfound partnership makes Alexa and Cortana synonymous and grant access to each other. For those thinking whether this is a merger between Alexa and Cortana can simply put their curiosity to rest, as this is clearly not the case. Both companies have made this clear that this isn’t a merger between two apps but they can simply control each other based on user preferences. It means you can simply ask Cortana to launch Alexa and vice-versa. This clearly adds more power to both apps as now Microsoft users can take advantage of Alexa’s grocery buying features. Also, Alexa users can also use Cortana services for quick access to emails and other Microsoft services. WHAT COULD BE THE DRAWBACKS? Although this partner ship sounds like good news on paper, experts have pointed out several inconsistencies with this program. First and foremost, it might cause some problem if Microsoft ever tries to partner with online retailers such as Walmart etc. Moreover, it also risks Cortana’s own skill set that might remain under-developed as Alexa already has a huge number of skills under the belt. What’s even more disheartening for fans, is the fact that this new deal might sour the vibe for upcoming Harman Kardon smartspeaker that runs on Cortana. Although the deal might not directly have an affect on the product quality, but it would certainly make more sense for users to invest in Echo devices.